Early stage protection – Protecting buildings from termites with appropriate soil treatment is a vital element of the pre-construction process and the only effective way of ensuring long-term protection against termites. Protective barrier – Javelin’s technical team will treat your site with a liquid termicide, forming a protective barrier around your site for long-term efficacy. Premium termicides – Sourced internationally and are selected for their long residual lives, meaning they stay active in the soil for longer than local termicides. Warranty – 1, 3 or 5 years depending on what you require and what weather conditions were prevailing at the time of application. 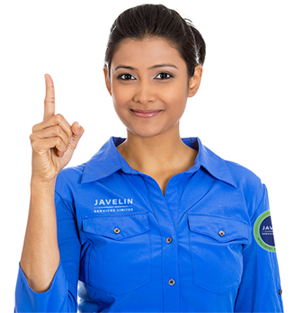 If termites reinfest your property within the warranty period, Javelin Services will return, free of charge to eliminate the termites. Working closely in conjunction with the construction company – effective pre-construction soil treatment seldom comes down to a one-time visit. Repeat visits will often be required during evolving stages of the construction schedule. Discussion with Javelin Services is essential to ensure that our technicians are brought in at agreed points of the build process to treat the site effectively. Liquid Termicide – our team will spray termicide around foundations, pillars, piers, lift-shafts, together with other vulnerable areas, preventing termites from accessing your property at these points. Where there is slab construction, we will treat the soil and aggregates that come in to contact with the concrete slabs, before the concrete pour. Debris clearance – before any treatment, it essential that all debris and superfluous construction materials are removed. Additionally in the event of significant disturbance of treated surface areas (e.g. by further excavation or erosion), Javelin Services should be informed, so that an assessment can be made as to whether any re-treatment is necessary.